“The Time of the Wart” in The Dirty Goat, Austin TX, 1990. After the crash of an alien spaceship, they recovered a body, took it to Los Alamos for autopsy. It had no stomach. These creatures are nourished by some kind of sophisticated photosynthesis. Chlorophyll people. What could be better than if you made some simple changes in people so that they could nourish themselves with photosynthesis? It would wipe out hunger problems in the third world. “Effin well right,” the generals said. “We’re gonna put out a shoot-to-kill order on those effin opportunists. Effin flying saucers are violating our air space. We will go beyond the Manhattan Project! We will destroy these creatures!” My God, the dumbness, to alienate the aliens. There was a great possibility when the old world met the new. There could have been a tremendous possibility of exchanging knowledge and values. Instead of which it became a history of slavery and extermination. The white-skinned homo sap has always been an eff up. My theory is that we’re just another alien species, an occupying alien species, a parasitic alien. There’d been an obituary on me for years, all written and ready to go except for the last paragraph. All they had to do was to tack on the end. 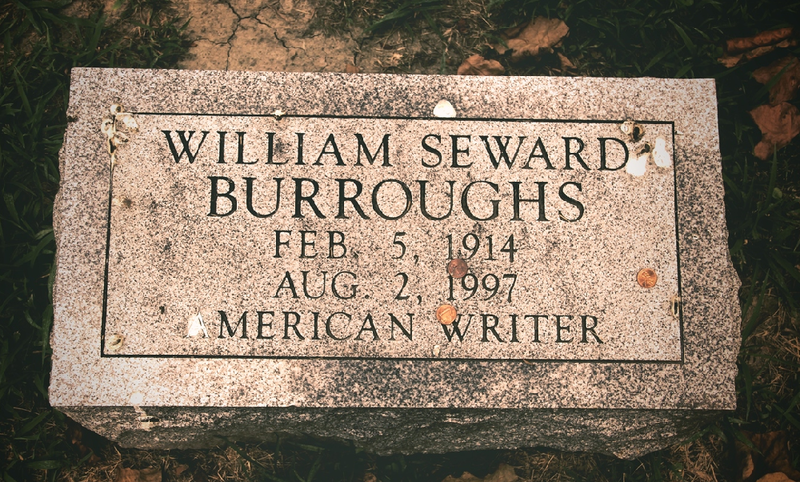 Now I’ve got a good little niche in the Burroughs family plot here in St. Louis. It’s a damned good thing to lie in the ground and rot. In my old age I developed a plantar wart. It got stronger and more vigorous by the day, big as a small turnip . . . . That’s the way it is, isn’t it. One day you’ve got a monkey on your back, and the next it’s a turnip on your sole.